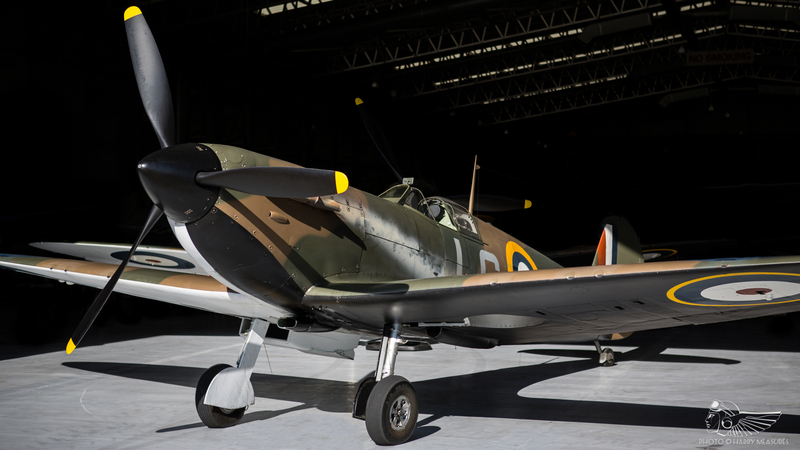 Christopher Nolan’s Dunkirk arrived in cinemas this summer to widespread critical acclaim, but its take on the evacuation has divided aviation and military history enthusiasts. At a mere 107 minutes, Dunkirk’s runtime bucks the trend set by bloated tent pole summer blockbusters. Lean and relentless, it is a truly visceral cinematic experience. Around three quarters of the film was shot in 70mm IMAX, and it is in this format that Dunkirk is best viewed, with the enormous screen filled from floor to ceiling by the improbably named Hoyte van Hoytema’s beautiful cinematography. The sound design is unparalleled, with the IMAX experience giving the din of warfare an uneasy immediacy. Dunkirk focuses on three narrative strands that unfold and eventually entwine. In “The Mole”, we see the men of the British Expeditionary Force on Dunkirk beach itself and follow their increasingly desperate efforts to evacuate over the course of one week. “The Sea” follows the father-and-son crew of a civilian ‘little ship’ en route to Dunkirk over one day, whilst “The Air” puts us in the cockpits of a brace of Spitfires for one hour as they defend the stranded allied forces from above. Tom Hardy and Jack Lowden star in the “The Air”, portraying Spitfire pilots Farrier and Collins respectively. Hardy in particular does a lot with limited screen time, conveying grim determination, hope and resignation in varying measures from behind his goggles and oxygen mask as he weighs his own future against the survival of his fellow countrymen – indeed, Farrier is as close to a hero as you’ll find in a picture that is more interested in the murky moral ground of man’s survival instincts. The much-anticipated aerial scenes are beautifully composed and are amongst the finest committed to modern film. R.J. Mitchell’s enduring masterpiece has never looked so good, and shots of the three Spitfires (Comanche Warbirds’ Marks I and V) flying in close formation amongst billowing white clouds are genuinely spectacular. 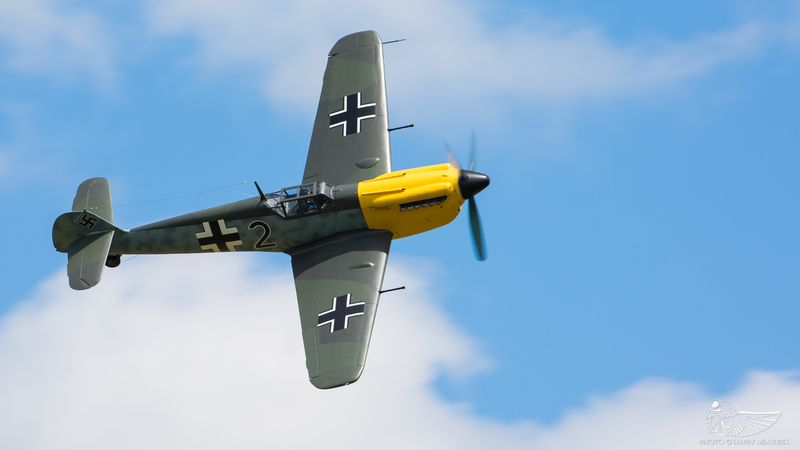 Once the Luftwaffe arrives on scene the lengthy two-on-one and one-on-one dogfights leave a lasting impression, helped in no small part by the unprecedented use of both internally and externally mounted IMAX cameras. Here, the Aircraft Restoration Company’s Hispano Buchón represents a period Messerschmitt Bf109E whilst large-scale models offer a solid argument for using practical effects over CGI – the air-to-air footage of real Spitfires engaging model Heinkel He111s is surprisingly convincing. The Stukas (models once more), meanwhile, are truly frightening when they arrive over the beach, their screams evoking a nauseating sense of dread. Underplaying the action lends the aerial scenes an air of authenticity lacking from other Hollywood efforts. This is a film where Spitfire pilots rattle off curt radio comms from behind their oxygen masks and prolonged flight at combat power has unspoken but implicit ramifications that ripple across each of the three narratives. It’s a far cry, to put it mildly, from the ludicrous posturing of Michael Bay’s saccharine Pearl Harbour or George Lucas’ disastrous Red Tails. 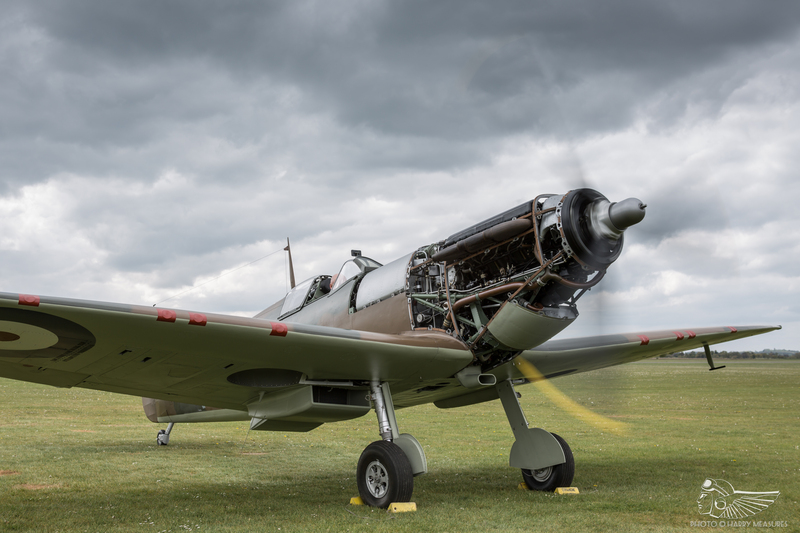 As with any historical picture, there are a raft of inaccuracies that have been critiqued since the film’s release and keen-eyed aviation enthusiasts will doubtless find much to pick apart. From the outset, the standing patrols and dogfights play out at low-level, with the aerial combat never rising above 2,000ft (a fact interestingly commented on by Jack Lowden’s character) – an understandable creative decision that doubtless makes for more dynamic, if historically inaccurate, cinema. Other gripes, such as the seemingly unlimited ammunition expended by Farrier’s Spitfire, have also been noted. There are inaccuracies in the Luftwaffe schemes depicted, too – the Stukas are adorned with Soviet theatre camouflage (I would challenge even the sharpest eye to notice this in the film itself), whilst the ‘109s’ are “yellow nosed bastards” which, whilst easily identifiable to the wider audience, would not have appeared in northern France until summer 1940. Nolan’s dislike of CGI also comes at a price. The reliance on practical effects means everything on screen has a tangible rawness to it that even the finest CGI typically fails to convey, but as immersive an experience as Dunkirk is, it fails to capture the scale of the operation. The shots of hundreds of extras diving for cover as the German bombs fall in the film’s intense opening sequence are beautifully choreographed, but there simply aren’t enough men on film to illustrate the 400,000 soldiers we are repeatedly told are pinned down on the beach. Smoke rises from the town, but it is far from the imposing pall depicted in the photographs captured in spring 1940. Similarly, whilst the use of original ‘little ships’ and period military vessels lends authenticity to the film, there are too few boats to give a sense of the calamity and confusion that the mass of ships would have created during the evacuation. None of that detracts from Dunkirk’s effectiveness as something approaching a Second World War thriller. The whole thing rattles forward at such a breathless pace and with such unrelenting tension that Christopher Nolan’s pre-release description of the film as a tale of survival, rather than a war movie, absolutely rings true. Broad historical accuracy is certainly important, but Dunkirk’s numerous technical inaccuracies and misrepresentations don’t in any way compromise the integrity of its message, nor do they diminish the raw emotion of its devastating coda. Notably, the film has been a tremendous success with cross-demographic appeal thanks to the interesting combination of director, cast and subject matter. Dunkirk opened in 638 cinemas (unusually for a film of its scale, it has been broadcast at both multiplexes and independent art house cinemas), initially drawing an impressive £10.02m (£1.33m of which was taken in IMAX presentations) and overtaking summer heavyweights Wonder Woman, Spider-Man: Homecoming and War of the Planet of the Apes at the box office. On a broader scale, Dunkirk has the distinction of holding the fourth largest opening of 2017, topped only by Beauty and the Beast, Guardians of the Galaxy Vol. 2 and Despicable Me 3. Clearly, and importantly, people have turned out in droves to see the film hailed as “a jaw-dropping spectacle” by The Guardian’s film critic Mark Kermode. The film makers have a duty to represent historical events accurately, but this isn’t a documentary and embellishments here and there do not prejudice the story being told – nor will they matter particularly to the casual viewer. Knowledgeable enthusiasts are quick to condemn, but in doing so, they may well risk overlooking the broader significance of a film like Dunkirk and the part it could play in telling a vital story to the masses. If widely acclaimed and internationally released Hollywood entertainment of this nature provokes even a fraction of its audience to reflect on the events of Operation Dynamo and inspires them to delve into the history, it has surely succeeded – would the righting of a handful of technical misdoings make it any more powerful a picture? The answer can only be a resounding ‘no’. Maybe nearly getting it just right is enough. Regardless, Dunkirk remains a towering tribute to the resolve of the British, French and allied armed forces during a most desperate hour in world history.